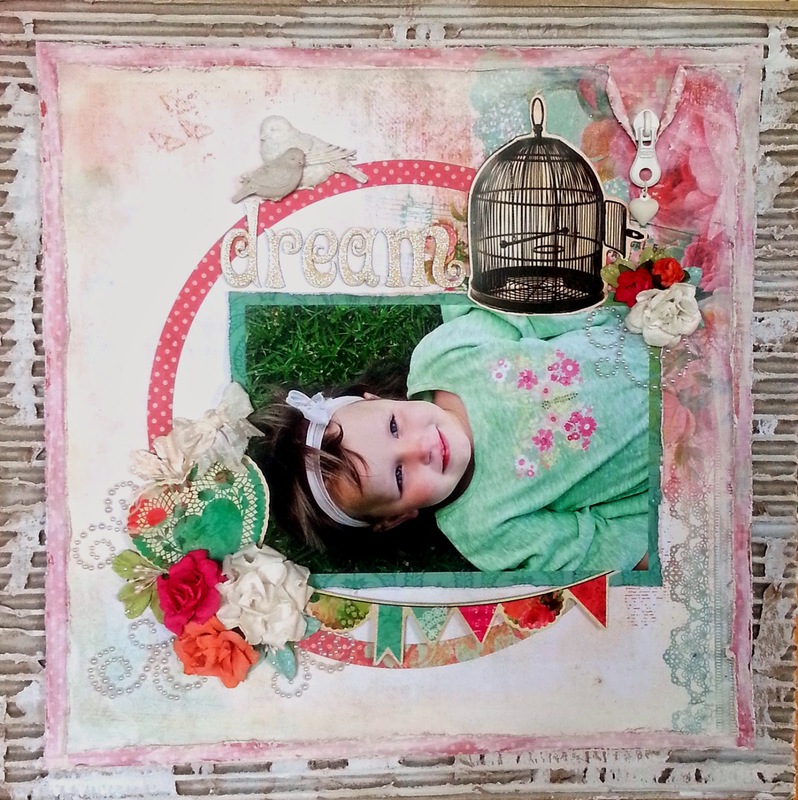 My first attempt at a mixed media layout. I have used an old cardboard box as the background of this layout and have added gesso to soften the bright colours of this beautiful paper collection by Kaisercraft. Other materials used: Prima flowers, resins, siic and junkyard findings, Kaisercraft blooms and collectibles, seam binding ribbon and Twiddleybitz chippy letters.